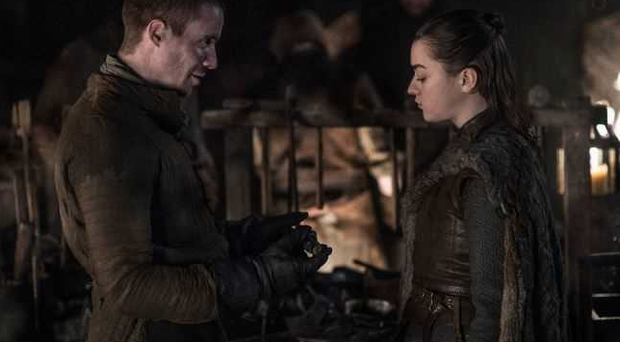 One of the most pressing questions for viewers during the latest episode of Game of Thrones concerned the character of Arya Stark. We've all been there - you need five uninterrupted minutes to make a cup of tea or accomplish some other menial task so you hand your toddler your iPad. Paul Rudd's skincare regimen is treated with the same shroud of secrecy as top level government codes: it's on a need to know basis. Were you fooled by Dublin Fire Brigade's new blue helmets? Dublin Fire Brigade officers could not let April Fools' Day pass without having some fun by adding a bit of sparkle to their helmets. Tom Hiddleston has filmed an advert for Centrum for the Chinese market and it's leaving people on this side of the world a little confused. Irish people are trolling a British journalist and Conservative politician with their 'alternative' versions of Irish history. Eileen Magnier had her work cut out for her reporting for RTE during Storm Gareth on Tuesday. Azealia Banks has attacked reigning Rose of Tralee Kirsten Mate Maher on Instagram. Dublin Fire Brigade rescued a struggling swan last night after it became caught in the lock at Bins Bridge. Gillette’s new ‘We Believe’ ad has generated heated debate online. A 7-year-old Irish girl has received a special message from Hollywood star Hugh Jackman on social media. What is the Bird Box Challenge and why has Netflix asked people to stop? Since Bird Box landed on Netflix over the festive period it has been causing quite a stir. Serena Williams' one-year-old daughter is nothing if not a good sport. Music, movies, feminism: It's hard to think of anything that Madonna doesn't do quite well, except for maybe faux British accents. Our team didn't make the cut, but the FIFA World Cup was the top-ranking Google search for Irish people this year. The annual Google year in Search results for Ireland are in, revealing a snapshot into the most pressing issues and questions on our minds this year. YouTube has revealed the most-watched videos in Ireland this year and it seems we're suckers for amateur Irish musicians as four feature in the top 10. Dunnes Stores has joined the big brand shops trend of going with large-scale, story-telling Christmas ads. An unavoidable part of modern life is spending long periods of time on hold while on the phone – but what do you to do keep yourself occupied? When you deliver the same speech day in, day out, something has always got to give. Avril Lavigne thinks conspiracy theories about her having already died are "weird". An Irish man has given the Chinese social media trend, 'flaunt your wealth' a decidedly Irish spin.